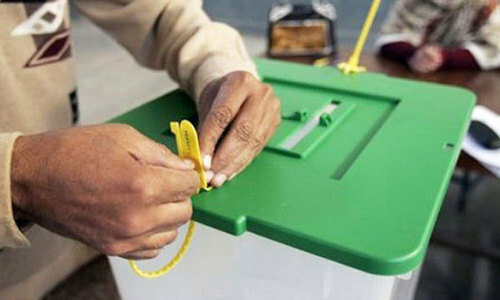 ISLAMABAD: The ruling and opposition parties have endorsed the decision of the Election Commission of Pakistan (ECP) to appoint returning officers (ROs) again from the subordinate judiciary for the upcoming general elections despite strong criticism by the opposition parties against ROs’ role in the 2013 elections. While the Pakistan Tehreek-i-Insaf (PTI) this time announced its support for the ECP move, the Pakistan Peoples Party (PPP) said the commission should have given preference to its own staff rather than relying completely on the judges of subordinate courts. 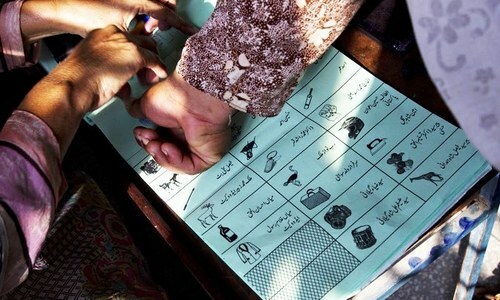 The ruling Pakistan Muslim League-Nawaz (PML-N) said it had no problem with the ROs or district returning officers (DROs) in the elections as it believed that the ROs would not be in a position to do any kind of manipulation in the upcoming elections in the presence of an independent ECP, the media and election observers. The PPP said no party could directly reject the ECP’s move to appoint ROs and DROs from the subordinate judiciary because parliament itself had passed the Elections Act, 2017 which had a provision for such move. But the party believed that the ECP instead of relying again on the subordinate judiciary should have given preference to its own staff or officers from other government departments, which was also mentioned in the Act. Speaking at a news conference on Saturday, PTI chairman Imran Khan said the judicial “officers who had acted as the ROs in the 2013 elections” were hand in glove with the then caretaker set-up, the ECP as well as the PML-N. He said they were involved in “fixing the match”. But at the same time, he welcomed the ECP decision to once again pick up election officials from the judiciary. Justifying his stance, Mr Khan said the whole nation had trust in the new leadership of the Supreme Court. He was of the opinion that the people “by participating in the PTI’s public meeting in large numbers on April 29 will prove that they are standing with the judiciary”. Mr Khan said he was “convinced” that the previous elections were manipulated by the judicial officers and he had to face contempt of court for his views. He then said that in his response to the contempt notice, he had informed the court that he had criticised the ROs and not the judges as criticising the ROs was his right. The ECP had last month written letters to the registrars of respective high courts in the light of Sections 50 and 51 of the Elections Act, 2017, seeking lists of district and sessions judges, additional sessions judges, senior civil judges and civil judges for their possible appointment as ROs and DROs in the upcoming elections. In its judicial policy of 2009, the National Judicial Policy Making Committee (NJPMC) headed by the then chief justice of Pakistan, had decided to stop judicial officers from performing election duties citing that the practice dragged the judiciary into political controversies. A request to get assistance of judicial officers for the 2013 general election had been dismissed by the committee during the tenure of retired Justice Hamid Ali Mirza as the chief election commissioner, but a similar attempt by his successor retired Justice Fakhar­uddin G. Ebrahim in November 2012 finally succeeded as the NJPMC agreed to a one-time lifting of the bar on the judiciary’s involvement in the election process. The NJPMC, which met with the then CJP Iftikhar Mohammad Chaudhry in the chair, had decided to provide services of an adequate number of judicial officers to the ECP for their appointment as DROs and ROs. When contacted, PPP Secretary General Farhatullah Babar said his party had made a demand during one of the meetings of the parliamentary committees that the ECP should be made bound to appoint ROs from among its own officers or the bureaucracy, but this demand was opposed as they were told that it could not be done within such a short time. “It is not at all necessary to have the ROs from the judiciary. This is not our preference. But of course we cannot reject the move since the law has this provision,” Mr Babar said whose party has also declared the 2013 elections as “ROs elections”. PML-N Information Secretary Mushahidullah Khan said the PTI had objected to the ROs’ role in the election process and continued to do so even after failing to prove rigging charges before an inquiry commission. He said the PML-N only wanted the ECP to take notice of the ongoing “pre-poll rigging as people were being compelled to quit the PML-N and join the parties backed by the establishment”. 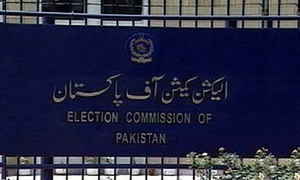 A senior representative of Free and Fair Election Network (Fafen) Mudassir Rizvi, when contacted, said the ECP must hire a range of officials as ROs instead of completely relying on judicial officers. He said the ECP should engage its own officials as DROs to have a direct control over all aspects of the election process. Without proper census and delimitation. All these exericises will be fruitless. The recent census and delimitation done is nothing but a joke. Should engage the services of the judiciary and the army for RO in the upcoming elections. Also, there should be army personnel stationed outside the poling stations as well as one by the ballot box to deter fraud and would offer reassurance to the voting public!